Liz has worked in the field of Social Services for over 30 years, with her focus mainly on youth, addictions, homelessness and mental health. 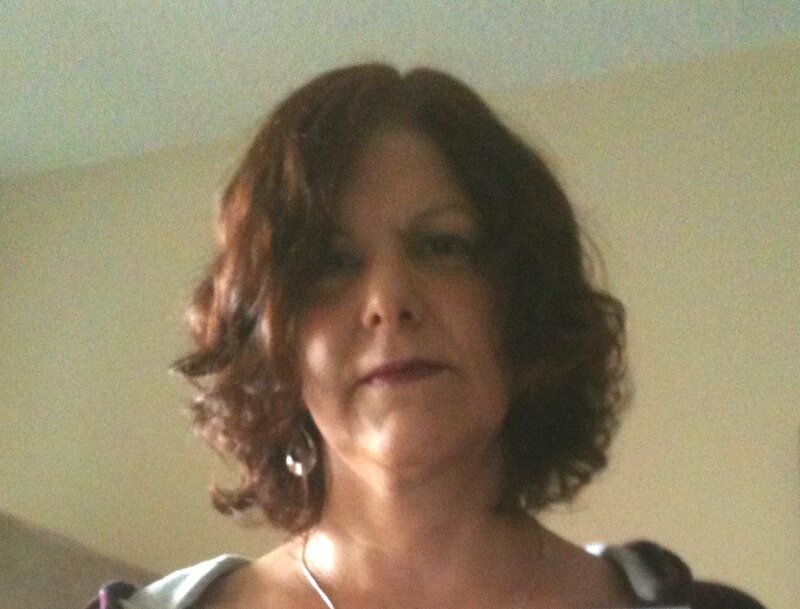 Liz was born, raised and still resides in the Vancouver area of British Columbia, Canada. Her compassion for, and love of animals, dates back to her earliest childhood, when she was always bringing home strays and was lucky enough to grow up on a two acre lot, with a menagerie of animals which included chickens, horses, hamsters, dogs, cats, a bunny (named after her brother) and even a duck named Snouter! On this lot, there was even a small pet cemetery to honour the animals that had passed over the Rainbow Bridge. Carrying on with her love of animals, during her high school years, she organized a student walkout/protest and petition signing drive, in downtown Vancouver, in support of the various Save the Seals campaigns. As the past President of A.R.K. (The Association of Reptile Keepers of British Columbia) she initiated and participated in numerous educational community presentations regarding proper animal husbandry, opened her home as a rescue haven for lizards & snakes that were sick or being kept in substandard conditions, both in private homes and retail stores and quickly found her home filled with reptiles. 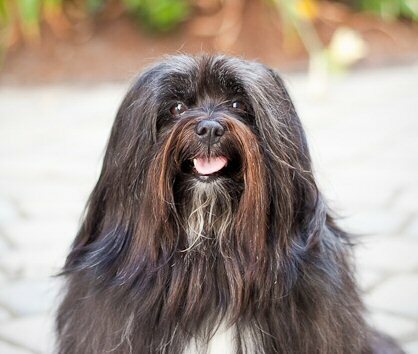 She currently shares her home with Hannah, an 8 year old Lhasa Apso, who has so much character and personality, that she will have her own section on this ABOUT page! Hannah also has a sister, Mishah, who just happens to be a cat. Mishah was a rescue. Someone decided that they didn’t want her when she was about 8 weeks old and they threw her out in the snow like garbage, so Mishah came to live with Liz and Hannah. The three of them usually get along famously, although they do have their issues at times, but you’re sure to hear about those at some later date! Liz is a powerful advocate for justice and has an innate capacity to defend those who have been dealt an injustice, no matter whether they are human or animal. She is an avid animal lover and is passionate about helping them. She recently changed to a vegetarian lifestyle in hopes to further this cause. She finds it difficult to fathom that these wonderful beings, who add so much to our existence, are abused and suffering on a daily basis. All over the world, animals everywhere, companion animals, wildlife, sea creatures, farm animals, work animals, service animals and strays, are in constant danger. People need to speak for them and Liz has chosen to be a Voice for the animals and hopes that you and others will join her and raise your voices also! Hello, my name is Hannah. I am a Lhasa Apso and I am 8 years old. Wow, how time flies! It seems like only yesterday I remember frolicking in the park, chasing pine cones. Wait, that was yesterday! Anyways, as I was saying, since I will be contributing to this blog in many different ways, I thought it would be a good idea to introduce myself and let you get to know a little bit about me. In general, I am a very happy, gentle and playful girl, who loves long walks in the park, exploring the beach at low tide, meeting new people and swimming. I love the water! It doesn’t matter if it’s the ocean, a lake, a river or just a puddle, if there’s water, I just have to be in it! I also love pine cones, can’t get enough of them. My mum says that I need to find a Pine Cone Anonymous group, but I’m still in denial about that one! I have a sister, Mishah, who just happens to be a cat. We love to play together, but I have to keep an eye on her, because she is always getting herself into trouble, trying to steal things and going places she ought not to be going. I tend to think all cats are my friends, but sadly this is not the case, as has been proven on one or more occasions. I really enjoy my encounters with species other than my own kin and I’ll be sure to write about those experiences. I’ve noticed that my canine brethren often take the wrong approach when meeting with squirrels, ducks, rabbits and the like. I really must share my techniques with them! I try to contribute to my family by helping to relieve stress. I offer what I call ‘Hannah Therapy’ and like some forms of therapy, mine also takes place on the couch. My mum calls it ‘couch time’, but no matter what you call it, it always seems to help, so my work is done! My mum thinks this is her blog, but really it’s both of ours. She writes her pieces on animal advocacy, which are super important, I know, but every now and then you need a little whimsy in your day, hey that’s me, whimsical and lighthearted. I will be your whimsy factor. Hopefully, I will provide you with some entertaining stories and anecdotes, and even some pictures of my daily adventures, all from my perspective of course. My hope is to make you laugh, or at least give you a moment in your day that is free of stress. I watch my mum when she’s doing her work, reading the news stories, looking at all those horrible images, and I’m right there beside her, licking the tears from her face when it overwhelms her. I like to think of myself as a therapy dog, bringing joy and comfort to those that need it. So put yourself in my caring, capable paws and I’ll do my best to brighten your day. Great site and great writing!! You go Girl!!! Thank you Wendy for your kind words! I hope that you will continue to follow Hannah and I as we continue to add to our blog! What a wonderful Mommy Hannah & Mishah have been blessed with! Now if only we could clone you, Liz. You are a ‘giver’ who has clearly earned magnificent Karma. So pleased to have crossed paths on our Twitter journey. Let’s stay in touch. Thank you for the kind words Dianne! I am also glad that our paths crossed and we will most definitely keep in touch! Thank you, Liz. I’ll look forward to our future chats. Hugs all round!